Are you excited for Valentine’s Day or Galentine’s Day? I am! And I have some of my favorite makeup products for you to use for the special day. Here are the ones I shared on Arizona Midday. Laura Mercier Radiance Primer. This is in my top 10 for instantly improving dry, dull skin. It’s amazing, and I’m not a big primer person. Laura Mercier Tinted Moisturizer. Great for hydrated, healthy, natural looking skin. Stila Liquid Lipsticks. I wear the matte ones daily, but they also come in shimmer. For Valentine’s Day, try their Gliterrati Top Coat! 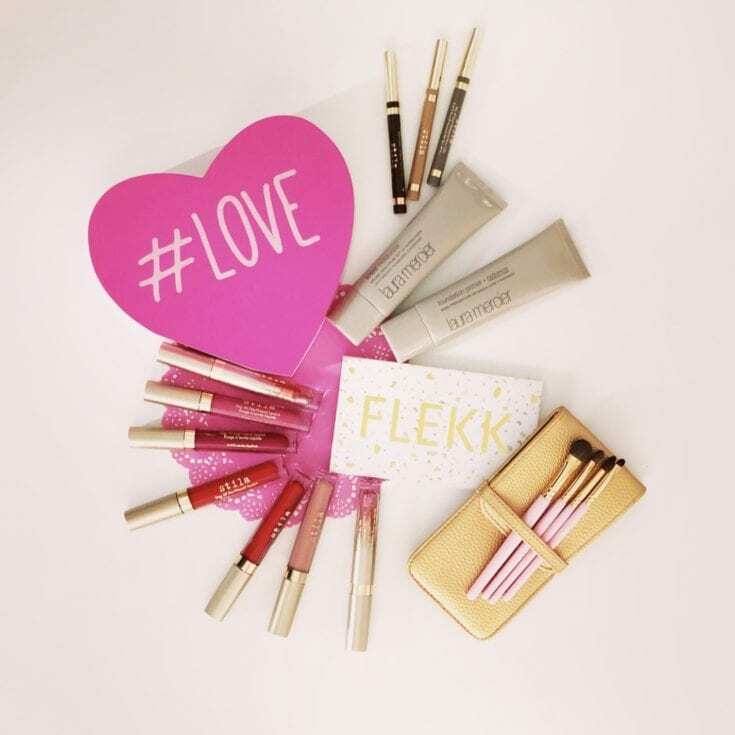 FLEKK eye shadow palettes and brush sets. This palette will change your life when it comes to eyeshadow. SO EASY to use and it makes your eyes look amazing everytime. Use the code LOVE for 10% off your purchase through Valentine’s Day! Stila Brow Pens. Another top ten product for me. It’s the ideal way to create amazing brows.